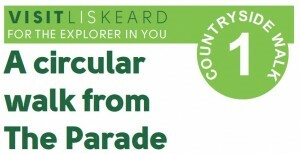 This walk starts and finishes on the Parade in Liskeard town centre, and winds to the north of the town through stunning scenery and rich heritage. 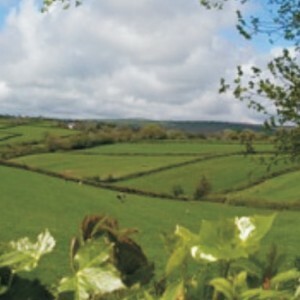 The route takes in part of the Caradon Trail, a fully-signed on-road route to enjoy on foot, horseback, or by bike. Distance: Approx 4½ miles (7 km). Allow 2½ hours for this circular walk. Surfaces: Back roads and footpaths. Some stretches can be muddy – waterproof shoes/boots recommended. Obstacles: Stiles, gates, steps and a stream to cross. 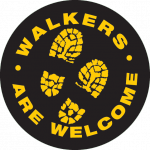 This fairly short walk starts and finishes from Westbourne car park and winds through the fields north of the town in an area of Great Landscape Value. There are splendid views and quiet, narrow typically Cornish lanes. Distance: Approx 2¼ miles (3.6 km). Allow 1 hour for this circular walk. Surfaces: Back roads and footpaths. Some stretches can be muddy. 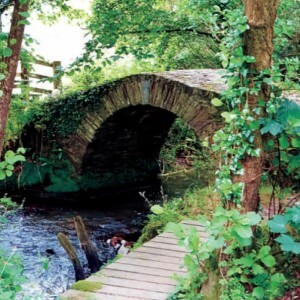 Obstacles: Stiles, gates, steps and a small river to cross – waterproof shoes/boots recommended. Livestock often in fields: dogs must be kept on leads. (If you use a field gate, please leave it as you find it). 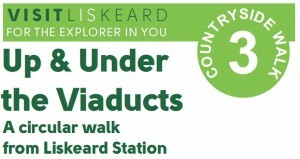 This walk starts and finishes at Liskeard railway station, and reveals much about the industrial history of Liskeard. Distance: Approx 3¼ miles (5 km). 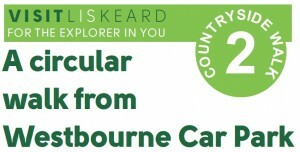 Allow 2½ hours for this circular walk. Surfaces: Mostly on lanes, with some footpaths across fields. Sturdy waterproof footwear is advised. Obstacles: Four stiles. All dogs should be under close control. Bring a camera to capture views of the viaducts. 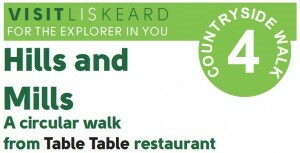 This walk starts and finishes at ‘Table Table’ restaurant, next to the Premier Inn, to the south east of Liskeard. 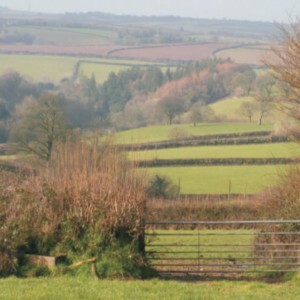 Crossing fields and stiles, it drops down to the River Seaton, climbing back up from Bodgara Mill to head along Lake Lane and back through woodland to its starting point. Distance: Approx 2½ miles (4 km). Allow 1¼ hours for this circular walk. Surfaces: On footpaths, farm tracks and across fields. One muddy area to cross – sturdy waterproof footwear advised. Obstacles: Five stiles to cross. May be livestock in fields so all dogs must be kept under close control. 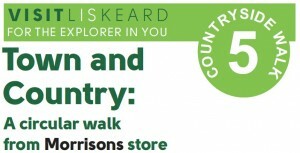 Starting and finishing at Morrisons, this walk leads you through woodland and lanes to the east of Liskeard, then back into town through Castle Park and past historic St Martin’s Church. 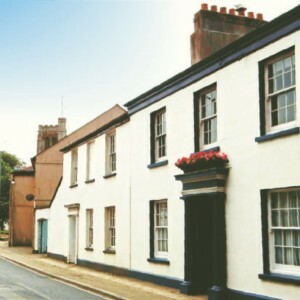 You can then head back to your starting point, or visit the town centre with its historic sites and wide range of shops, cafés, restaurants and pubs. Distance: Approx 3½ miles (5.5 km). 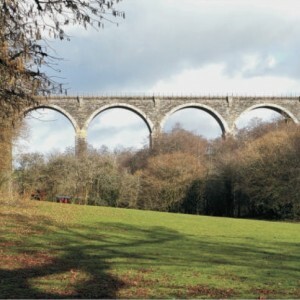 Allow 1½ – 2½ hours for this circular walk. Surfaces: On footpaths, lanes and roads. Sturdy waterproof footwear advised, especially in wet weather. Gradients: Some steep slopes and one set of steps. Obstacles: One stile on optional diversion, where there may be livestock so all dogs must be under close control.